I love summer for so many reasons... being able to create and craft is one of them! 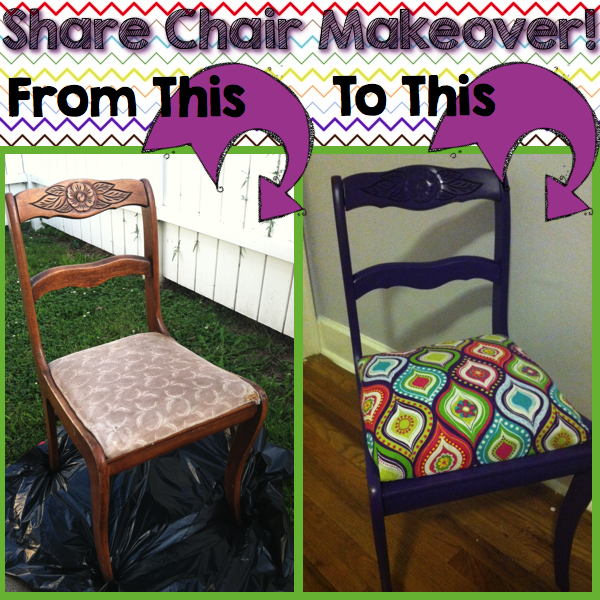 I found this chair last summer and planned to give it an overhaul to make it into a "share" chair. I got it at a local antique shop and it has sat in my basement all this time just calling at me to finish it up every time I go down there! The first thing I had to do was unscrew the seat. The cushion inside was pretty nasty but I need the board underneath to use for a base for my new cushion and material. Then I had to give it a pretty good cleaning to make sure the spray paint would stick. I have learned that spray paint is a teacher's best friend. I don't know why I always tried to actually "paint" everything. Trust me, just spray it. 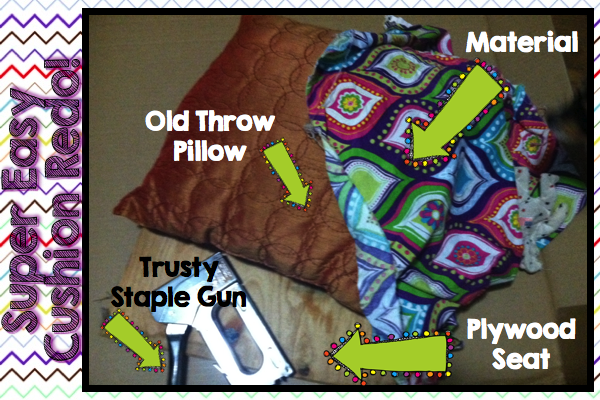 With a little pulling, tucking and a whole lot of stapling, I was able to make this super fluffy and comfy seat. 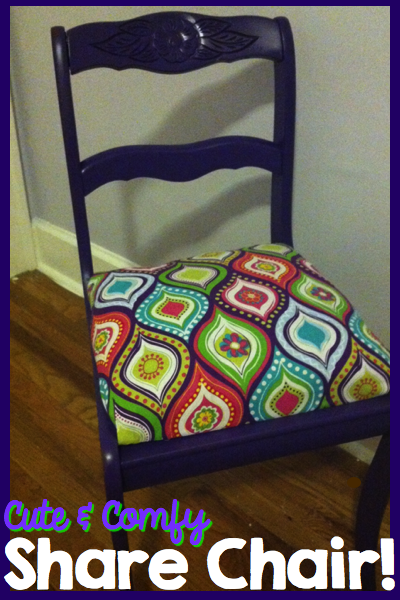 I screwed the seat back on and... VIOLA...a super cute (super purple) share chair! The total cost of all of this was about $12, you can't beat that! 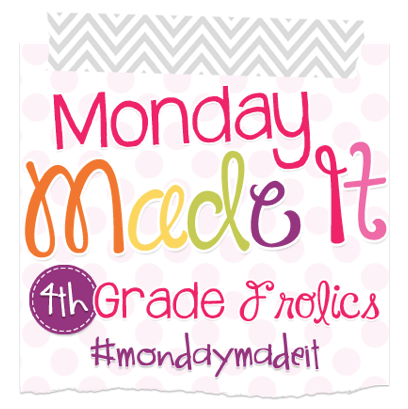 Check out the other Monday Made It Posts by clicking on the button below! I love this! Your share chair is adorable! Beautiful job! Very well done! I am a little jealous of that gorgeous chair!!! Thanks for the pics & tutorial! Love it!!!! I have been looking for a share chair, never ever did I think to recover one LOL. 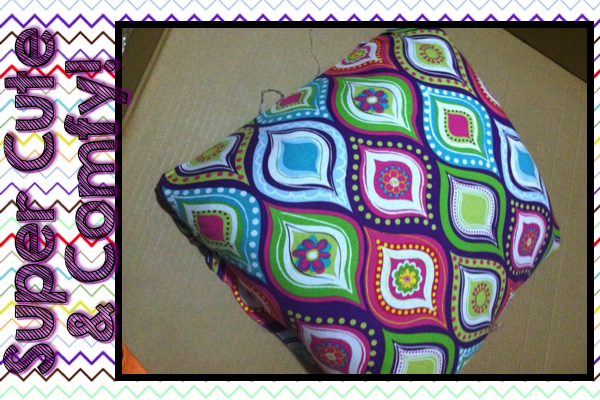 You did a great job and I love the fabric! Love it! Turned out great! You are talented! Looks awesome! Cute! Love the paint color and fabric choice! !